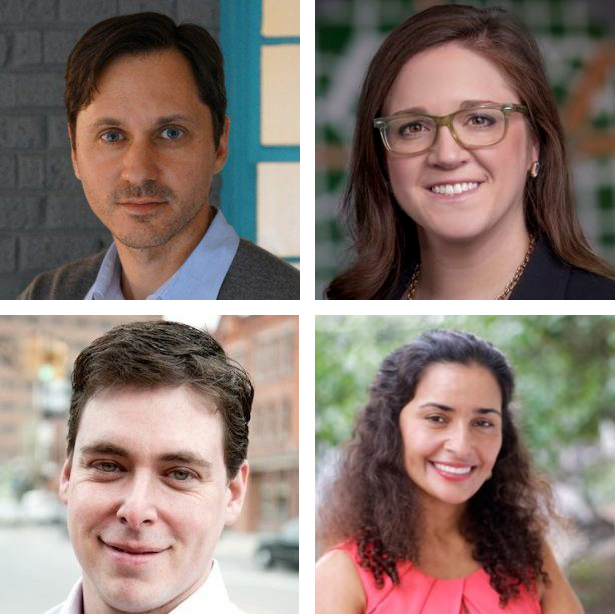 The Michigan Mobility Institute today announced the first members of its advisory board. The institute’s goal is to design training for the new jobs that will be created in the mobility industry in the metro Detroit region. The first initiative of the Detroit Mobility Lab, the Michigan Mobility Institute will be a brick-and-mortar educational center that will train professionals and tradespeople in artificial intelligence, cybersecurity, robotics, and other fields involved in making Detroit a global center for future mobility. Together with universities, the Michigan Mobility Institute plans to offer the first-of-its-kind Master of Mobility degree starting in 2021. The advisory board includes Karl Iagnemma, co-founder of Boston’s nuTonomy Inc., which develops autonomous vehicle software, and president of Aptiv’s autonomous mobility division in Troy. He is a former director of the Robotic Mobility Group at the Massachusetts Institute of Technology (MIT) whose research has resulted in more than 150 technical publications, 50 issued or filed patents, and numerous edited volumes, including books on the DARPA Grand Challenge and Urban Challenge autonomous vehicle competitions. He earned his master’s degree and doctoral degree from MIT, where he was a National Science Foundation fellow, after completing his bachelor’s degree at the University of Michigan. He is also an award-winning fiction author. Alisyn Malek is COO and co-founder of May Mobility Inc., a company developing and deploying self-driving transportation, starting with low-speed shuttles for public roadways. She was formerly the head of the innovation pipeline at General Motors and an investment manager at GM Ventures. While there, she led investment in the autonomous space, including early negotiations with Cruise Automation. As an automotive engineer, she led a global team to develop SAE Level 3 charging technology for GM’s Spark and Bolt EV products, as well as supporting release of electrical components for the first-generation Chevy Volt. Malek earned her bachelor’s degree in mechanical engineering and master’s degree in energy systems engineering from the University of Michigan, as well as a Master of Business Administration from Indiana University’s Kelley School of Business. Anita Sengupta is a rocket scientist and aerospace engineer who has developed technologies that have enabled the exploration of Mars, asteroids, and deep space for 20 years. Her career began with the launch of vehicles and communication satellites at Boeing Space and Communications. At NASA, her doctoral research focused on developing the ion engines that powered the Dawn spacecraft, and she was later responsible for the supersonic parachute system that was integral to the landing of the Curiosity Rover on Mars in 2012. From 2012-2017, she managed and led the development of the Cold Atom Laboratory, a laser-cooling quantum physics facility for the International Space Station. As senior vice president of engineering systems at Virgin Hyperloop, Sengupta led the product planning, systems architecture, regulatory compliance, and human safety certification. She is currently chief product officer of Airspace Experience Technologies, or ASX (asx.us), located at Detroit City Airport, which is leading the development of a hybrid-electric, vertical takeoff and landing urban aerial mobility system. She and her team hope to use the system to revolutionize urban transit. Sengupta is a research associate professor at the University of Southern California and earned her Ph.D. in aerospace engineering from the same university. Marc Weiser is managing director of RPM Ventures, a Midwest- and Silicon Valley-based seed and early stage venture firm focused on business-to-business and business-to-business-to-consumer internet and mobile startups with $200 million in assets under management. Weiser specializes in investing in automotive, mobility, and transportation startups. He has served on more than 20 boards of directors over the past 15 years and currently sits on the boards of BountyJobs, Mobi, and Polysync. Weiser is also vice chair of McKinley Inc., one of the largest private real-estate companies in the U.S. He is also a member the National Advisory Council, Science Committee for NASA and is on the board of the James Beard Foundation. He was a founding member of the board of the Center for Entrepreneurship as well as an adjunct professor at the University of Michigan, where he was also on the board of the Wolverine Venture Fund. Finally, Weiser served on the board of trustees of the Ann Arbor Area Community Foundation. He earned his bachelor’s and master’s degrees from the University of Michigan.